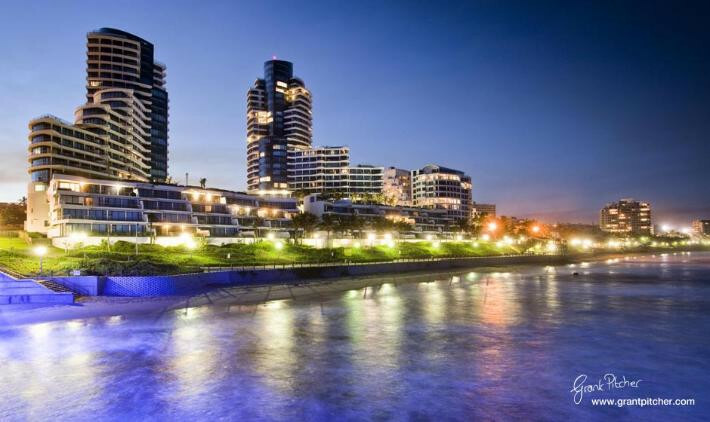 The Pearls of Umhlanga - Luxury self- catering apartments within the most exclusive location on Umhlanga's golden coast. The Pearls of Umhlanga is an opulent resort style, private residential development on the beach that has won many architectural awards & is quite simply the epitome of luxury living. The Pearls boasts a large salt water pool & a baby pool as well, so you can soak up the sun on one of the sun loungers by the pool-side, unwind in your own exceedingly comfortable apartment, chill out on your balcony & get a braai (BBQ) going, absorb the fresh ocean air or with direct beach access, take a stroll on the beach. The pier & the lighthouse are at your doorstep & there are loads of water activities to explore. You have a variety of restaurants & shops, just walking distance from The Pearls. 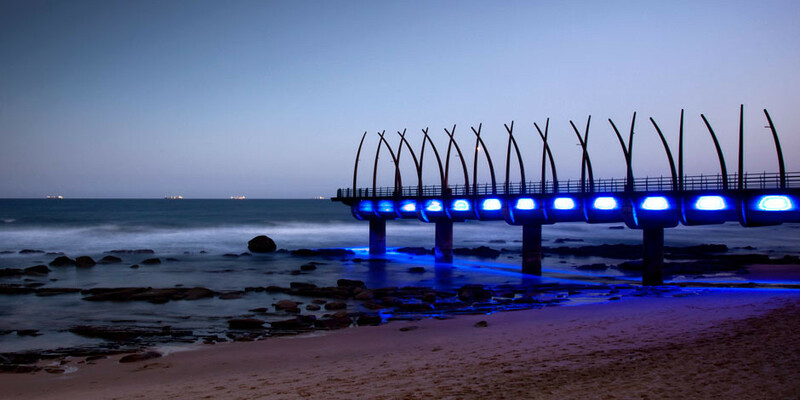 The award winning "21st century", Umhlanga Pier has the latest trends of lighting, that illuminates at night in an electric blue colour which reflects on the ocean. The architectural styling of the "whale-bone" theme was a very important element of the design, in keeping with the improvements of the promenade thus far. The Umhlanga Pier with all its extravagance is an artistic & structural masterpiece. We have executive two & three bedroom luxury self catering apartments available for your stay. Please visit the profile of these superior apartments & view the gallery. The apartments you book are exactly what you see, luscious interiors & the highest standard finishes. For your added convenience, the apartments have wireless internet. There is DSTV full bouquet available, for the best television entertainment & cleaning services are provided Monday- Saturday, excluding Sundays & public holidays, which can be arranged in advance. Please be advised that there is a minimum number of a 14 night night stay. 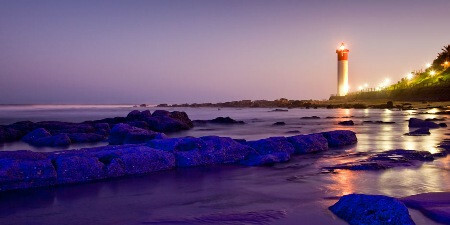 The Umhlanga Lighthouse was completed on November 24, 1954 and has since become an area landmark. The circular concrete tower, painted white with a red band at the top, stands 21m above the beach and has a focal plane height of 25m.The fixed red light enable a ship waiting to anchor in the outer anchorage to monitor its position if the red light can be seen. Thank you for visiting our website & we want to give you the opportunity to stay in touch with our company and our offers. So feel free to make an enquiry & please let us know what your needs and questions are, as we will be more than happy to help. At The Pearls, we pride ourselves in providing outstanding quality accommodation & our specialty is in the area of rental for holiday makers, corporates & short term accommodation. Our regular customers particularly value our service & always come back every chance they get. PLEASE FEEL FREE TO FIRST CHECK DAILY RATES AND AVAILBILITY FOR BOOKINGS AT THE PEARLS OF UMHLANGA ONLY, ON THE " Book Online " PAGE. BOOKINGS ARE LIVE AND THEREFORE YOU CAN PROCEED IMMEDIATELY. We await "your" stay at.... The Pearls of Umhlanga.